Mission Trips are often the entry point for students and for youth leaders to critically examine and ask the question, “how can I serve like this in my own community”. And if you are coming back from a mission trip with Next Step, than you know our desire is for you and your church to take what you learned and experienced on your one-week mission trip and put it to use when you return home to your own community. Sounds great, right? While But where do you start? Here are five things you can do right now to engage your community after the mission trip. Come up with a vision within your youth group. There are countless opportunities to serve in your community, just like there were in the community you served alongside on your mission trip. While you can definitely serve in many different organizations, the most effective way to serve is to have a focused vision for your work and select projects that line up with that vision. Meet with local organizations and hear their vision for your community and what they are doing to create change. From those conversations, meet as a youth group and develop your vision of how you want to engage your community. An asset map is a tool for identifying the assets, or gifts, already present in your community. This helps reinforce asset-based development, rather than needs-based development. Finding strengths in your community helps you to better understand what you already have to create lasting solutions. For more in-depth details on how to create an asset map, send us an email! This one should be a group activity or with your parents. One simple way to become more involved in your community is to know the people who live around you. With our increasingly digital world, we are beginning to see fewer and fewer in-person relationships. 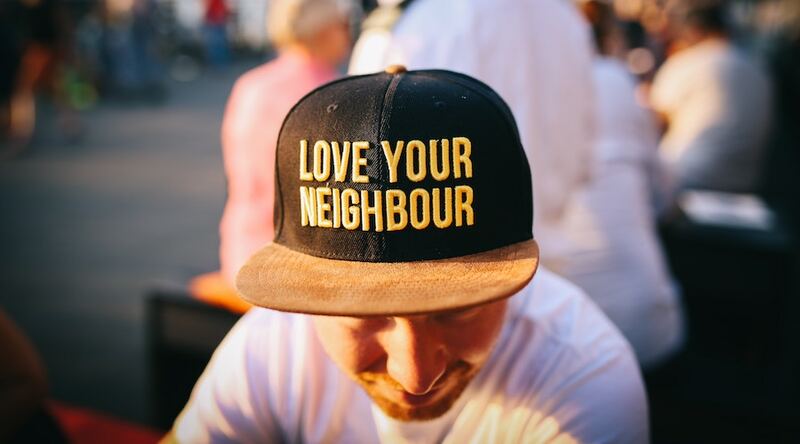 Just like getting to know the homeowner you worked alongside on your mission trip, getting to know your neighbors is important, after all ministry always happens in relationships! Speak positively about your community. This may seem like a simple one, but most of the time, we don’t even realize the types of language we are using to speak about our communities. You can be a light within your community by speaking about its gifts and blessings, rather than always focusing on the problems or what you don’t like about your community. Be a game changer among your friends and choose to speak life over your community. One of the most powerful things you can do is intentionally pray for your community. Create a prayer journal and keep a list of the things to lift up in prayer for your community. As you meet with organizations and meet your neighbors, keep track of prayer requests and spend time each day praying over items on the list. One way to remember to pray is to set a reminder in your phone to pray at a certain time. As you do these five things, we pray that God guides you in the best ways to engage your community responsibly after coming home from your mission trip. We are excited for the impact you will continue to have all across the country. If you want to talk further about these concepts and how to implement them into your community, feel free to contact Next Step’s Community Development Department!